Wow! a 2hr FO, am very pleased with how such a simple pattern has turned out - I used Rowan Big Wool and 5mm needles for this and I think it is so lovely - going to be making more for gifts and myself too! 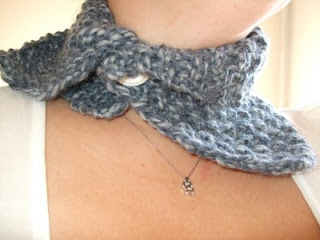 Pattern can be found on Ravelry as Asymmetrical Neck Cozy - thanks for such a fab idea.